The ultimate wedding event! WIN 4 tickets and be treated like royalty! This is your change to SHOP, INTERACT and EXPERIENCE the best of the wedding and fashion world. Enter to win – 4 VIP tickets to The Bridal Bazaar plus a gift pack worth over $1000!! This event combines all glitters and shines in the bridal and fashion world into one lavish, creative, extravagant event. 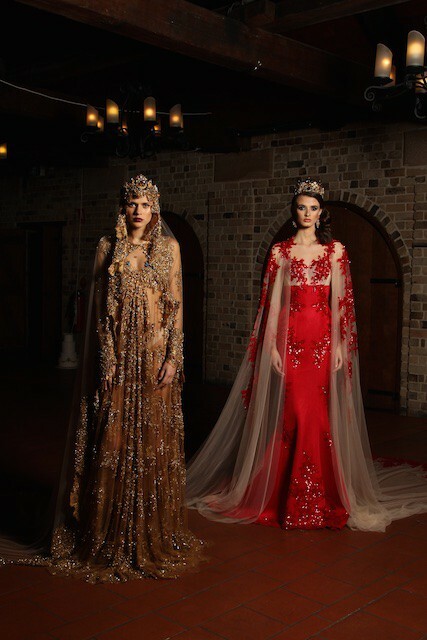 As our VIP you will rub shoulders with elite bloggers, celebrities and enjoy an incredible runway of Australia’s finest designers and couturiers such as Steven Khalil, Paolo Sebastian, Samantha Wills, Leah Da Gloria, George Elsissa, Pallas Couture, Dollhouse, Natalie Rolt and Belluccio. This is set to be the wedding event of the year! To win 4 Tickets to The Bridal Bazaar including VIP Treatment, worth over $1000. Just describe in 25 words or less, what your dream wedding day would be like?